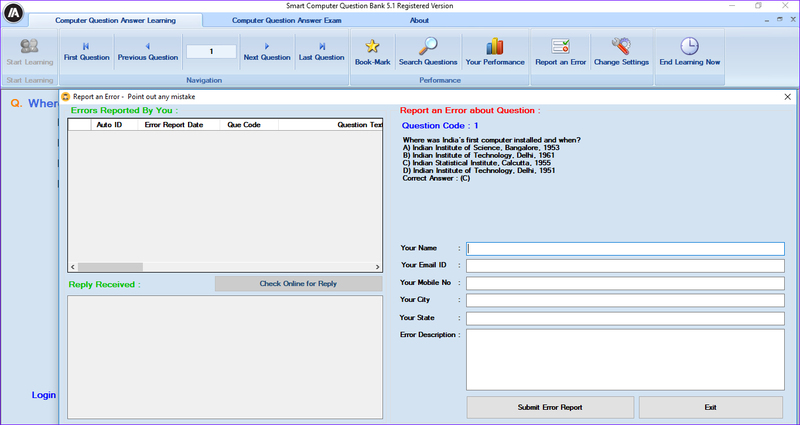 Smart Computer Question Bank is unique software developed by Smart Softwares that has the 6000+ Multiple Choice Computer Subject questions collection which are useful for preparation of competitive exams which are based on computer subject such as Informatics Assistant (IA) Exam, Computer Operator Exam and Assistant Programmer Exam etc. This software is designed in such a manner that it keeps record of your study or learning. This software is based on GUI (Graphical User Interface) i.e. a windows based software which makes it easier to understand and work. 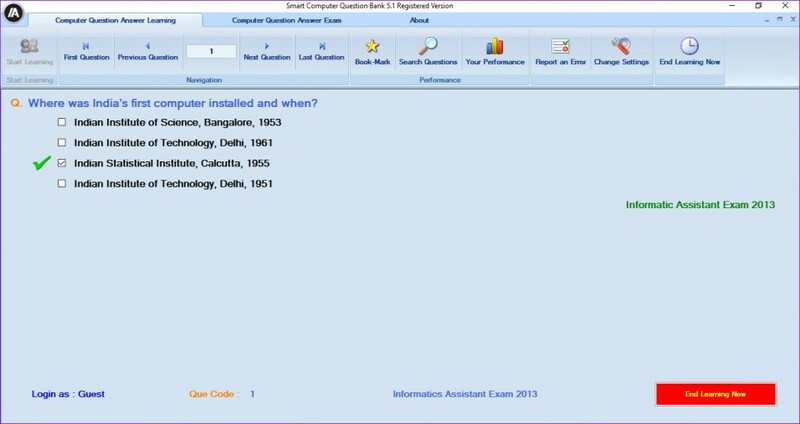 This software is developed by understanding the need of the students who wants best preparation for competitive exams based on computer MCQ questions and do not want to spend a lot of money to purchase different books from market for computer MCQ questions. 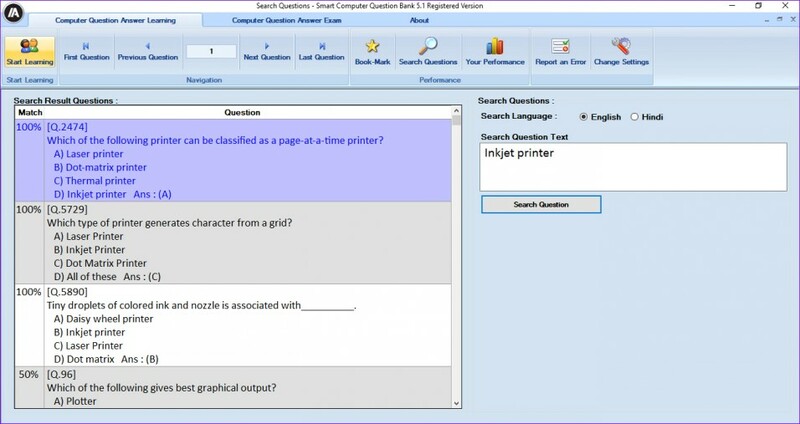 This software contains the MCQ questions related to computer, its four options and one correct answer. 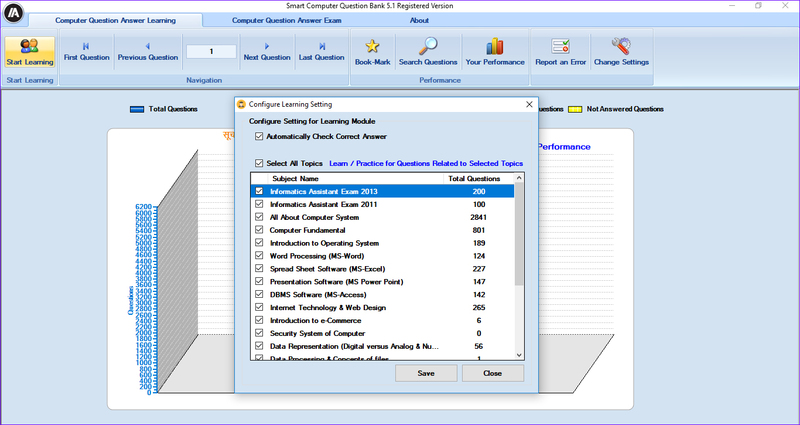 There are two modes for preparation – Sequential Learning and Exam Mode Preparation. Paper in exam mode is being generated by computer, all you need to do is just specify how many questions you want from which unit or chapter. Question paper can be from one chapter or more than one chapter. 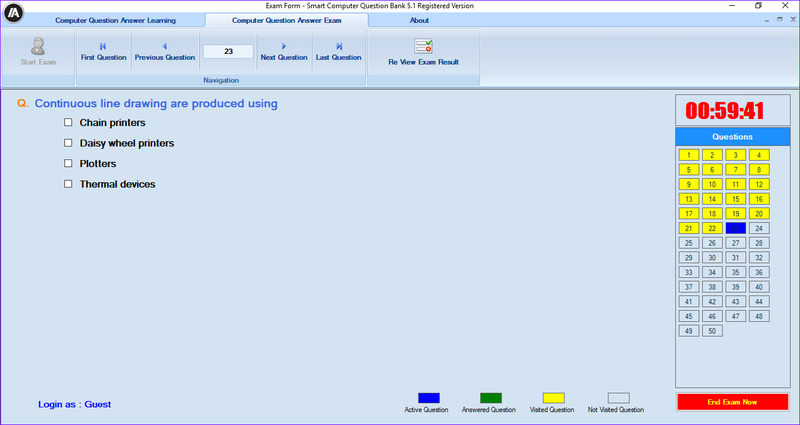 You can view your learning progress report at any time in software and can compare yourself to other candidates. 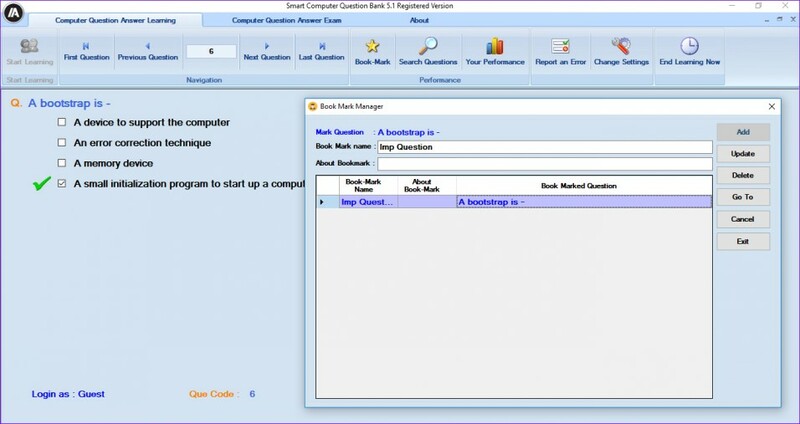 You can report about the errors if you found in any question. You can bookmark the important questions in this software. All the updates in software and new questions update will be free. There are several features that make this software a valuable product. Smart Computer Question Bank is very useful for Informatics Assistant (IA) Exam.